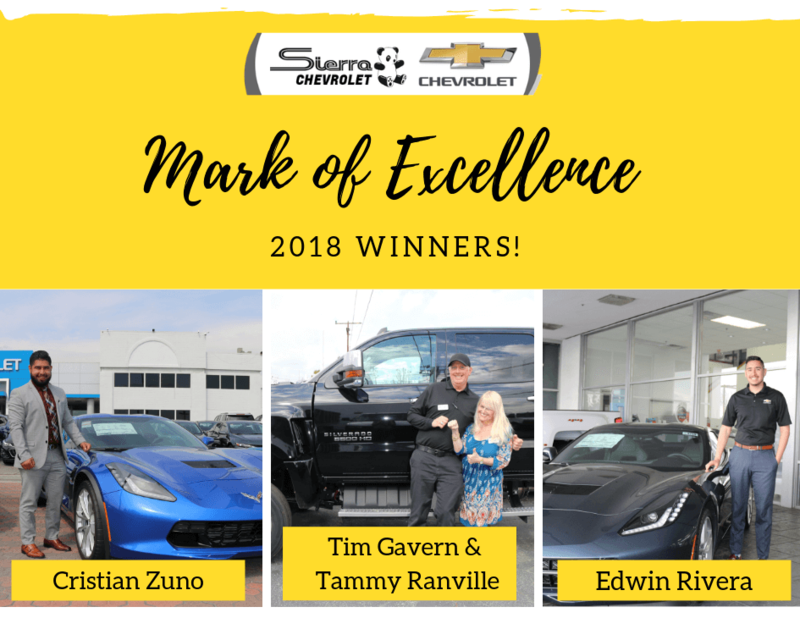 Congratulations to Cristian Zuno, Edwin Rivera, Tim Gavern and Tammy Ranville on their outstanding achievements in the “2018 Mark of Excellence” Program! General Motors recognizes their commitment to excellence and is pleased to present our winners with a one-of-a-kind traditional award that symbolizes the very pinnacle of success. This is a remarkable accomplishment worthy of recognition. Thank you to Cristian, Edwin, Tim and Tammy for their impressive efforts in 2018; we look forward to their continued success in 2019. Are you ready to save on your next Chevrolet? Now is the time to act! Our Chevrolet Presidents' Day Sales Event is going on now at Sierra Chevrolet! Sierra Chevrolet is home to an unbelievably large new Chevrolet inventory. So whether it's a stylish sedan like the Chevrolet Malibu or Cruze, or an SUV such as the Chevrolet Traverse, Equinox, Tahoe or Suburban, you can rest assured you'll find your next Chevrolet at Sierra Chevrolet. Visit us during our Presidents' Day Sales Event and take advantage of great savings! We are proud to be your Premier Chevrolet Dealer for cities such as Monrovia, Arcadia, Pasadena, Duarte, Azusa, West Covina, and the Greater Los Angeles Area. Click the link below to view our wide selection of Chevrolet vehicles! 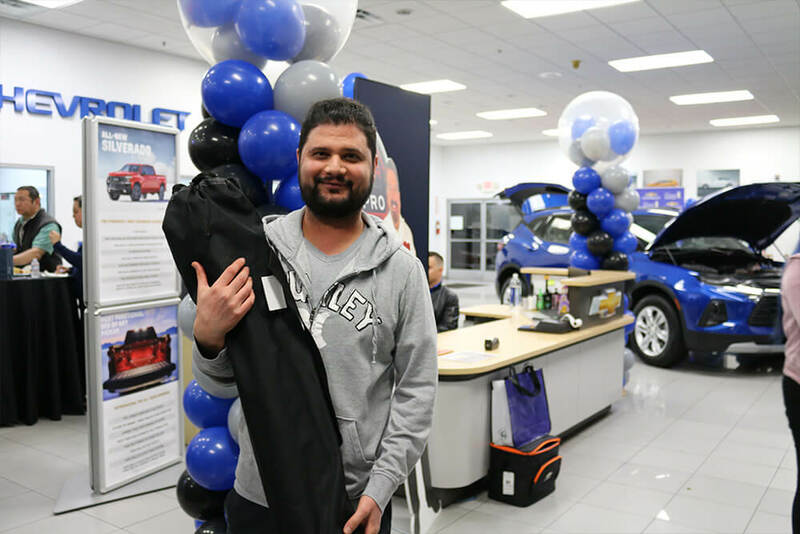 On Thursday, January 31st, Sierra Chevrolet celebrated the launch of the all-new 2019 Chevrolet Blazer! 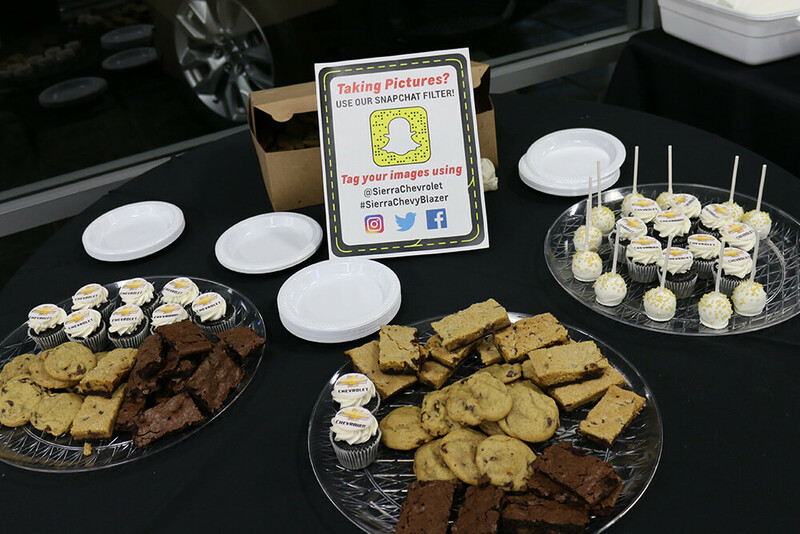 The 2019 Blazer Launch Party took place from 6:00 p.m. to 8:00 p.m. in the Chevrolet showroom and was a huge success as guests were introduced the specifications of the new model. It was a fun night filled with music, giveaways, and food catered by Copper Still Grill and Sweet Nothings Cake Shop. We were excited to see a great turnout of residents who came to celebrate with us from cities such as Monrovia, Duarte, Arcadia, West Covina, Pasadena, San Gabriel and the Greater Los Angeles Area. 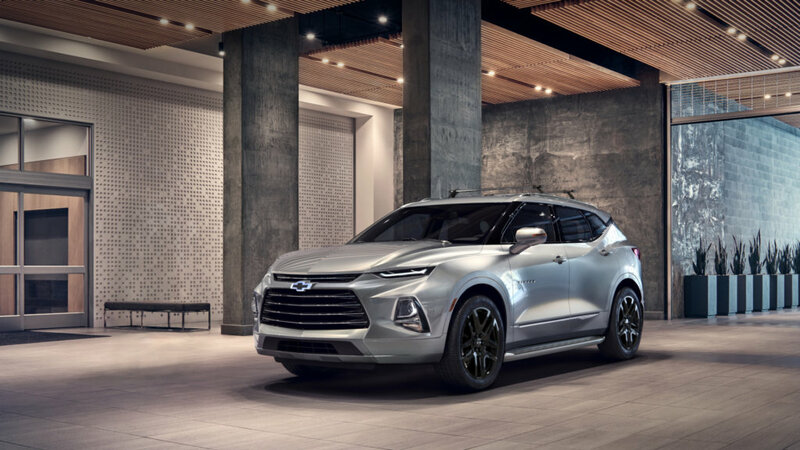 The all-new 2019 Chevrolet Blazer is the latest vehicle to be added to the wide range of crossovers and SUVS offered by Chevrolet. With a range of interior and exterior options, as well as available 20-inch and 21-inch wheels, the 2019 Blazer grabs attention as you approach, and will leave a lasting impression everywhere you go. As a family owned dealership for over 40 years, Sierra Chevrolet always take pride in giving back to our community. Check out our photos for a quick recap and stay connected with us on social media for our latest deals, promotions and customer events. At Sierra Chevrolet, we understand that proper repair and maintenance is essential to getting the most out of your vehicle. That’s why Sierra Chevrolet Certified Service makes it easy for San Gabriel Valley residents to care for their Chevrolet at our excellent service department. 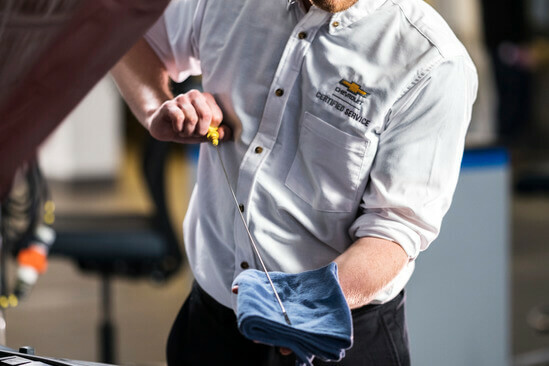 From oil changes to engine replacements, our Chevrolet Certified Service technicians are trained to care for your vehicle’s special needs, undergoing 1 million hours of instruction annually. They use the latest and most advanced diagnostic equipment available. Both ACDelco and Genuine GM Parts are tested for performance and reliability. So no matter what kind of vehicle you own, trust it to the Certified Service technicians at your Chevrolet dealer. We’re open six day a week, so there’s no excuse to not bring your car in for a complimentary multi-point inspection. We also offer a wide array of amenities to make your visit pleasant and convenient. Have somewhere you need to be? Take advantage of our courtesy shuttle to get you where you need to go. Our on-site café is open to the public. So feel free to stop by for a free coffee and enjoy breakfast or lunch with us! Get some work done on your mobile device or laptop and stay connected while you wait. Bring your little ones over to our children’s play area where they can enjoy a variety of toys, games, and entertainment. Relax in our comfortable waiting lounge while you snack on complimentary refreshments and watch TV for your entertainment. Busy during the day and need to get your Chevrolet serviced? We offer late night drop off at our service center for your convenience. We are proud to be your premiere Chevy dealer for the Greater Los Angeles Area and surrounding cities such as Monrovia, Arcadia, Glendora, Pasadena, West Covina, El Monte, San Gabriel and the rest of Southern California. Simply schedule your next service appointment using our online form at https://www.sierrachevrolet.com/schedule-a-service/. To view our latest service coupons, visit: https://www.sierrachevrolet.com/service-specials-and-coupons/. 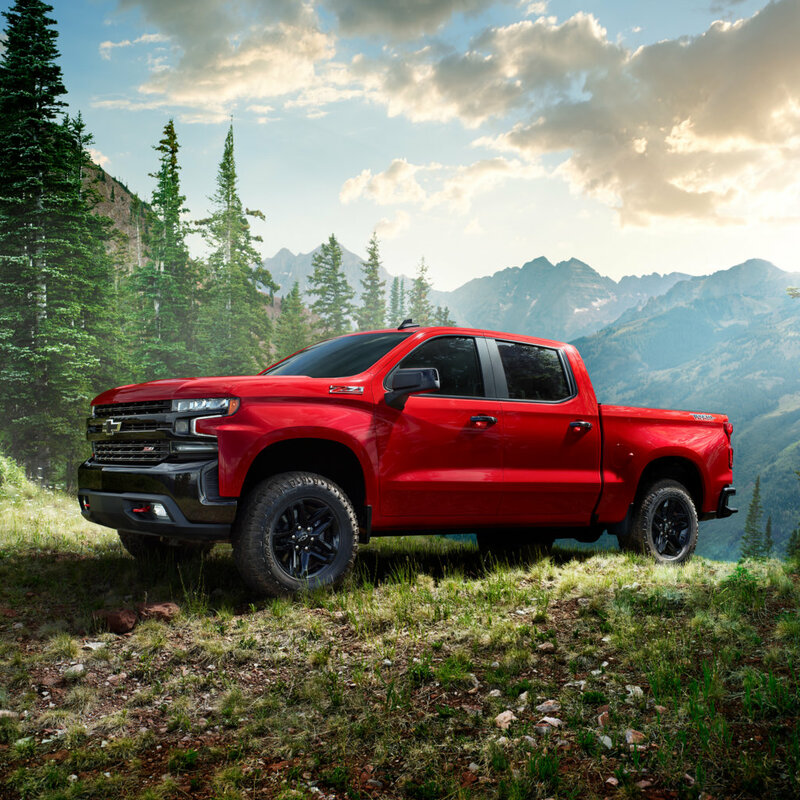 The 2019 Chevrolet Silverado is all-new and in-stock at Sierra Chevrolet. With up to 430 Horsepower*, 6 advanced powertrains and advanced safety features, the 2019 Chevrolet Silverado is the strongest, most advanced, Silverado ever. The all-new design also provides up to 20% more cargo volume than the competition. Built from stronger high-strength roll-formed steel than previous generations, the 2019 Silverado has you and your cargo covered with 12 standard tie downs. Whether you are an experienced hauler or joining the Silverado family for the first time, you can be sure that the Silverado you choose will help you stay confident and in control with its advanced trailering technology. From pre-departure checklists to trailer theft alerts and a rear trailer camera, the 2019 Chevrolet Silverado was built to be with you for the long haul. But the bold-fluid design isn’t just for show. The inside cabin can help you get from workday to weekend with its spacious design and refined comfort. Contact one of our sales representatives today to schedule your test drive. Sierra Chevrolet is your premiere Chevrolet dealership for cities such as Monrovia, Pasadena, Arcadia, Puente Hills, Duarte, West Covina, Azusa, Ontario, San Gabriel, the Greater Los Angeles area and the rest of Southern California. Visit our website to learn more and stay connected with us on Facebook and Instagram for our latest events, specials and promotions. *With available 6.2L EcoTec3 V8 engine. *Dependability based on longevity: 1987 – July 2017 full-size pickup registrations. Sierra Chevrolet will soon be welcoming the arrival of the 2019 Chevrolet Blazer. 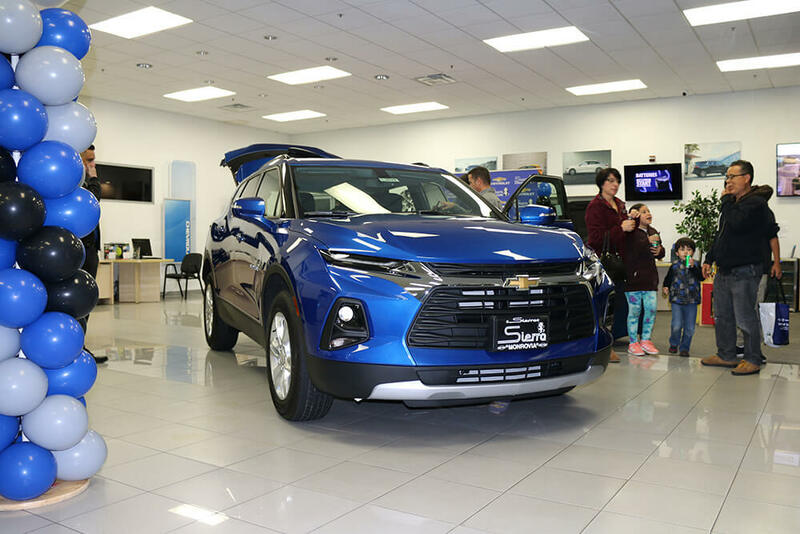 The all-new 2019 Chevrolet Blazer is the latest vehicle to be added to the wide range of crossovers and SUVS offered by Chevrolet. Sculpted and stylish with utility inside and out, this vehicle features two-row seating and is the perfect sporty SUV for all of your adventures. 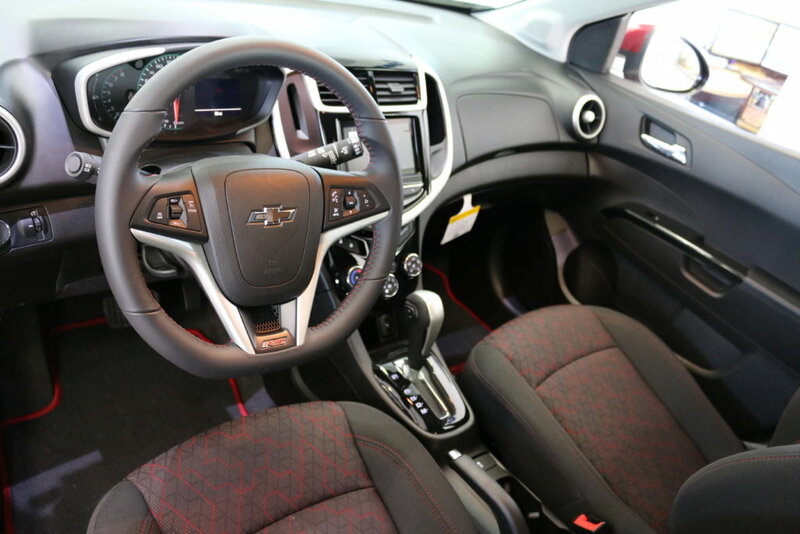 With a range of interior and exterior options, as well as available 20-inch and 21-inch wheels, the 2019 Blazer grabs attention as you approach, and will leave a lasting impression everywhere you go. Whether you choose from the available Premiere or RS Package, there’s a Blazer to fit your personal style. You can also drive confidently knowing you are equipped with All-wheel drive capability on all 3.6L V6 models. One of the many features included is the Traction Mode feature which allows you to adjust your vehicle’s performance on challenging road surfaces with the simple turn of a dial. Here at Sierra Chevrolet, we want to ensure that you drive away in an SUV that lives up to its name. We proudly serve customers from cities such as Monrovia, Pasadena, Arcadia, Baldwin Park, Duarte, West Covina, Azusa, San Gabriel, the Greater Los Angeles area and the rest of Southern California. Stay connected with us on Facebook and Instagram for news on our upcoming 2019 Chevy Blazer Launch Party. Visit our website at www.SierraChevrolet.com as well for our latest events, specials and promotions. We are here to help you find the right Chevy to fit your needs and look forward to welcoming the 2019 Chevrolet Blazer into the Sierra Chevrolet family. 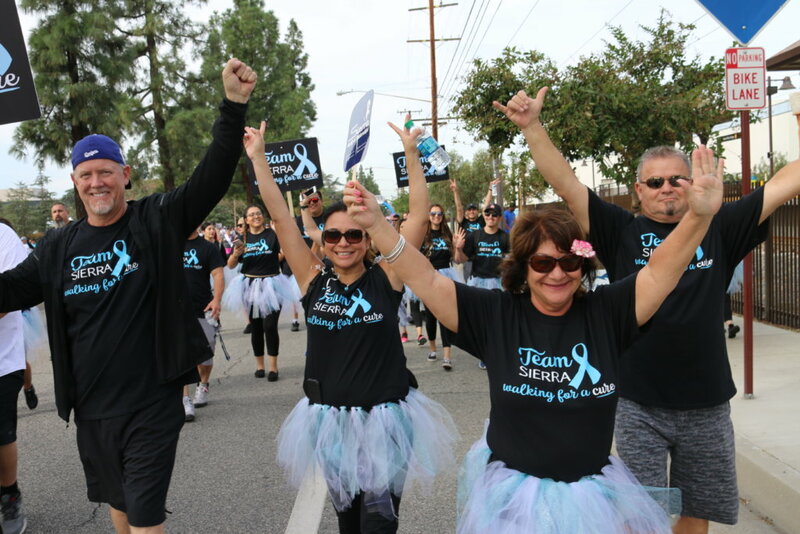 On Sunday, November 4, Sierra Chevrolet joined members of the community at the City of Hope to participate in the Walk for Hope 2K/5K annual walk. Our employees had a memorable time as we walked together in honor of patients, survivors, and victims of women’s cancer. The Walk for Hope is held each year and aims to raise awareness of women’s cancers through fundraising, education, and research. With the help of our customers, employees, and vendors, Team Sierra was able to contribute the multiple monetary donations collected throughout the month of October benefiting women’s cancers and women’s cures. 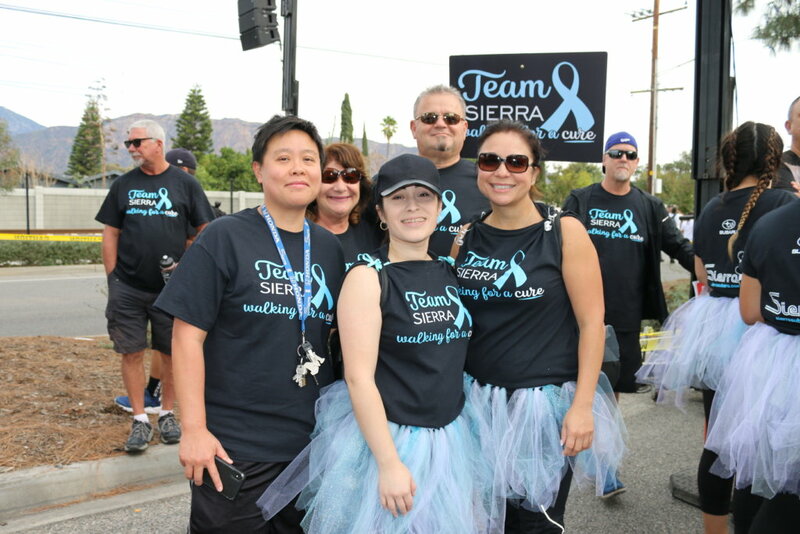 Team Sierra was cheered on as we walked with hundreds of participants from cities such as Monrovia, Duarte, Pasadena, Azusa, West Covina, Arcadia, San Gabriel and the Greater Los Angeles Area. 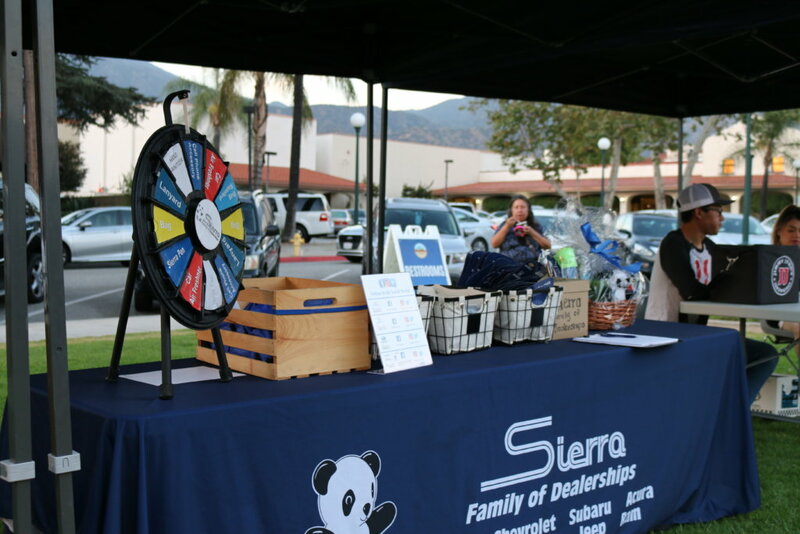 Our Sierra booth was also on-site with giveaways and a car accessory raffle basket valued at over $100. 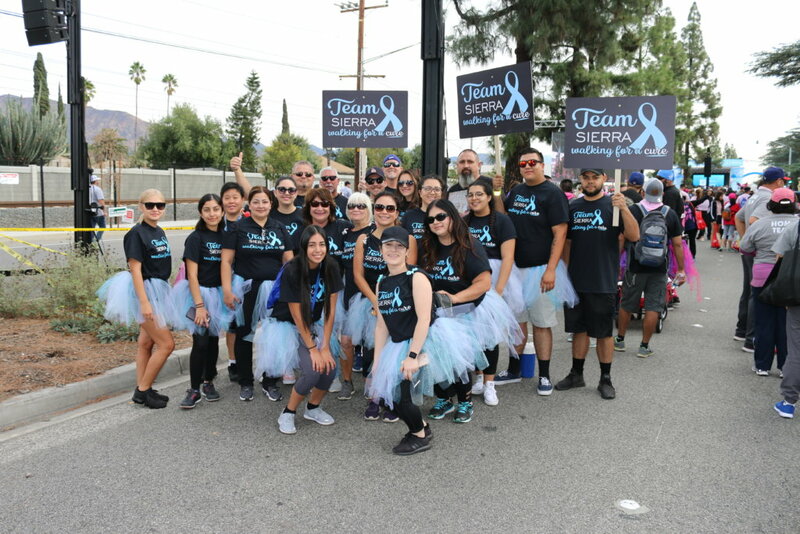 As a family owned dealership for over 40 years, Sierra Chevrolet always strives to maintain our tradition of treating each and every person as part of one family and is grateful to be able to sponsor organizations such as the City of Hope. Check out our photos to see our great turnout and stay tuned for future events and promotions! 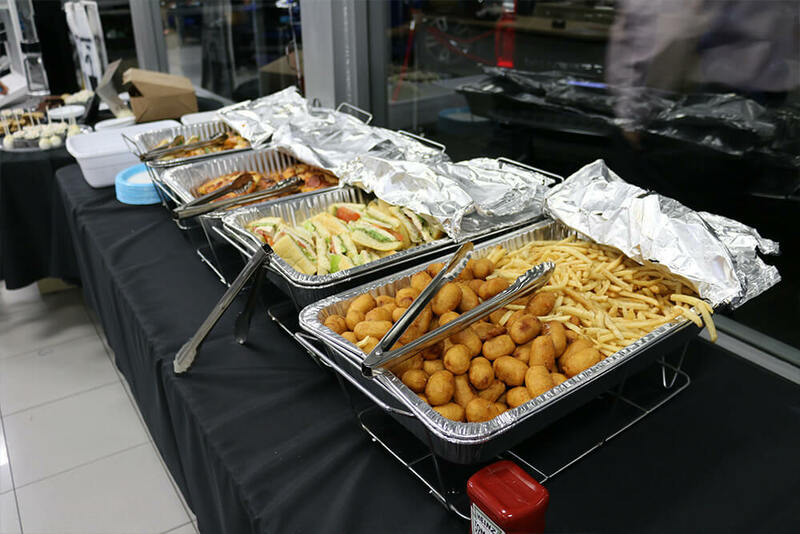 This past Thursday, October 18, Sierra Chevrolet welcomed back our most recent customers for a night of fun, food, and learning at our New Owner Seminar. 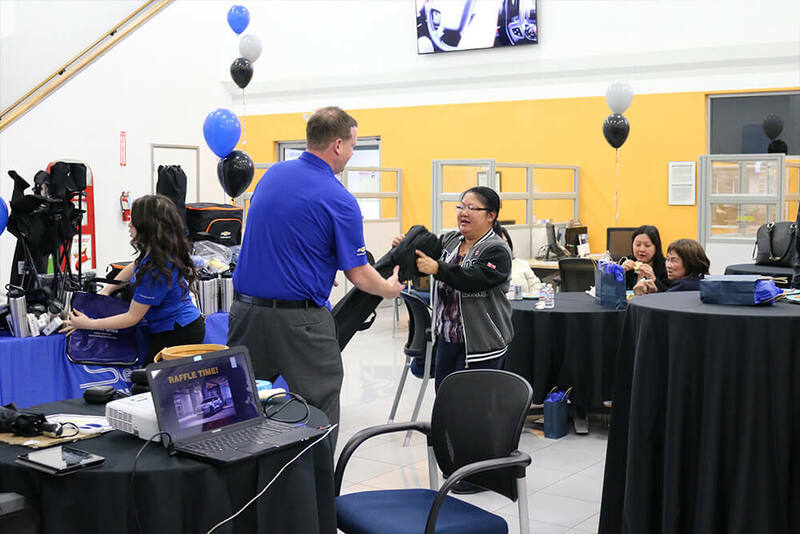 This event was a casual, informative, no sales involved event meant to thank our customers for choosing Chevrolet and to demonstrate how our service team can help new Chevrolet owners get the most out of their Chevrolet throughout the years. 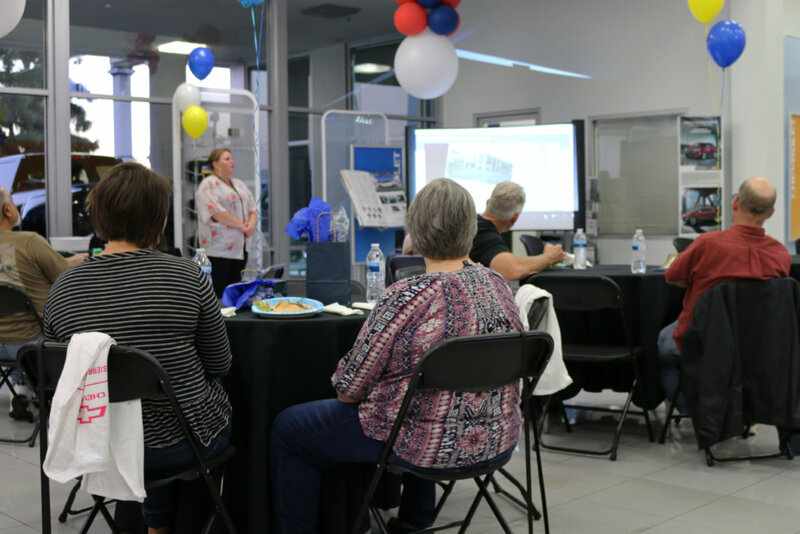 The evening was great as guests were introduced to our factory-trained technicians and service advisers who demonstrated what it means to be a part of the Sierra Family. Every attendee also received a Sierra gift bag and was entered for a chance to win a car accessory gift basket valued at over $100. 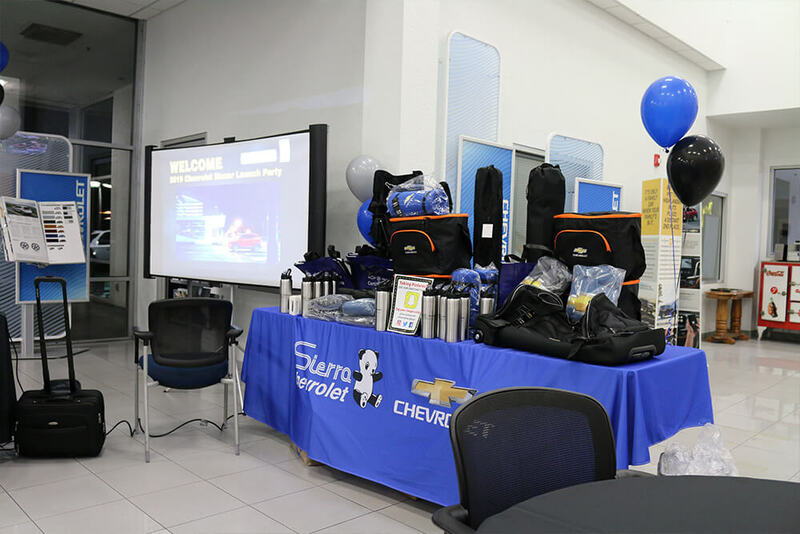 Our New Owner Seminar is held every 3 months at Sierra Chevrolet and we look forward to welcoming all of our future Chevy owners! Throughout each summer, Sierra Chevrolet gives back to the community as a proud sponsor of the Pasadena Pops Summer Concert Series held at the Los Angeles County Arboretum in Arcadia, California. This past Saturday, Sierra Chevrolet joined The Pasadena Symphony Organization for their “Summer of Love: Michael Feinstein Sings the hits of the 60’s” concert. The night was filled with great music and songs from The Doors to Sinatra and Tom Jones. Feinstein enlightened the sounds of the ultimate decade with Light My Fire, It Had to Be You, It’s Not Unusual and many more hits. It was a great night of music under the stars as Sierra Chevrolet handed out giveaways and introduced attendees to the many great features of the Chevrolet Bolt. The Pasadena Symphony Association was founded in 1928 and has since then provided orchestral performances of the highest quality to the community though live symphonic and classical concerts. Attendees of the Pops come from surrounding cities such as Pasadena, Sierra Madre, Arcadia and other cities throughout the San Gabriel Valley. To stay tuned for more community news and upcoming events sponsored by Sierra Chevrolet, please visit www.SierraChevrolet.com or Sierra Chevrolet on Facebook at Facebook.com/sierrachevrolet. 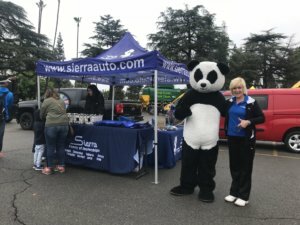 Sierra Chevrolet joined in on the summer fun this past Sunday at Library Park in Monrovia for one of the first summer concerts of the 2018 Monrovia Summer Concert Series. 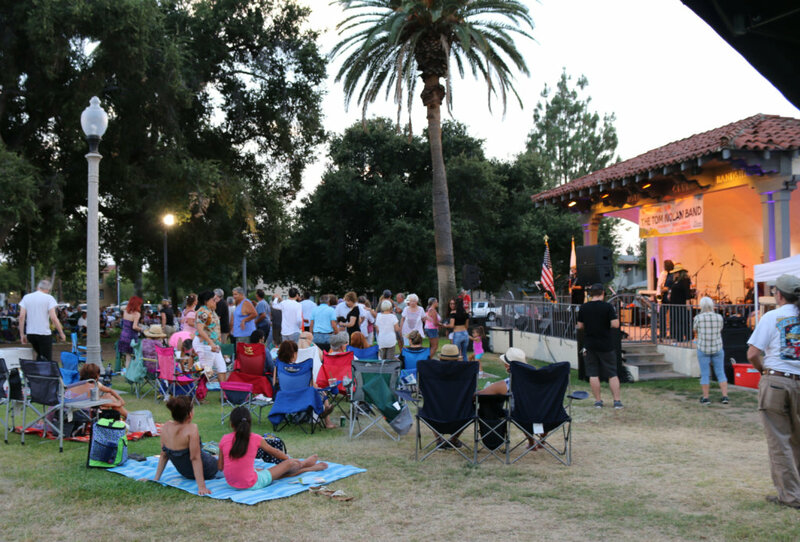 The event, held from 7 p.m. to 8:30 p.m., featured the sounds of Motown by The Tom Noland Band and was held by the City of Monrovia. Families and friends from Monrovia and surrounding cities joined one another as they spread out their blankets and lawn chairs while they enjoyed a summer night of dancing to Motown jams. 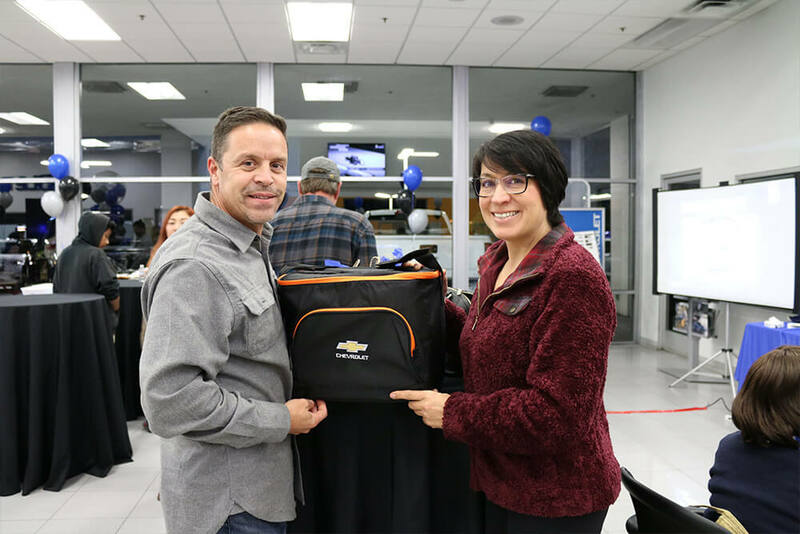 Prior to the event, Sierra Chevrolet was recognized for their ongoing dedication to sponsoring community events such as the Monrovia summer concert series. Attendees also had the chance to enter into a free raffle and win prizes at the Sierra Chevrolet sponsorship booth. 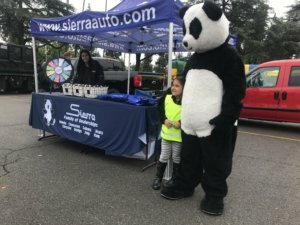 The Sierra Family of Dealerships is proud of their continuous sponsorship of community events and looks forward to seeing the positive impact their involvement continues to have on the San Gabriel Valley and Greater Los Angeles Area. Sierra Chevrolet Car Buying Tip: What does “CPO” mean? We know that shopping for the perfect used car takes time. When it comes to making a decision on your next used vehicle, there are many important factors to consider. Here at Sierra Chevrolet, we want you to feel confident knowing that all of your questions have been answered and that you have a smooth and hassle-free purchasing experience. When choosing a Chevrolet Certified Pre-Owned vehicle, you are driving off in more than just another certified program. It’s a promise that you’ll be driving only the best maintained and late Chevrolet vehicles. If you’ve ever wondered what Certified Pre-Owned (CPO) means and what’s included in these vehicles, here’s a quick overview of the many benefits that a Chevrolet Certified Pre-Owned vehicle has to offer. Each Certified Pre-Owned vehicle also comes with a free CARFAX® Vehicle History Report for your peace of mind. This includes the vehicle's maintenance history along with any past problems such as accidents, fires, or title issues. Click here to view our Certified Pre-Owned vehicle inventory. Our sales team is ready to assist you on your journey to finding your next pre-owned vehicle. $2,600 represents the national average value you get with a Certified Pre-Owned Vehicle from Chevy, Buick, and GMC as compared with a non-certified vehicle. During your powertrain limited warranty period, 6 years or 100,000 miles from new vehicle delivery, whichever comes first. Roadside assistance provided by Allstate. See dealer for details. Whichever comes first. Vehicle exchange only. See dealer for details. Eligible 2015 and newer vehicles receive 1 month OnStar Safety & Security Plan and 1 month Connected Services which include navigation, Remote Access Plan, and 1 month or 3GB of 4G LTE data (whichever comes first) from activation. Eligible 2011–2014 vehicles receive 1 month OnStar Safety & Security Plan and 1 month Connected Services which include navigation services and Remote Access Plan from activation. Services are subject to user terms and limitations and capabilities vary by model. When you select a paid monthly plan within 15 days of activation, you’ll receive an additional 2 months of the plan you select at no additional charge. 2 month extension must be redeemed within 15 days of activation date. Requires that you enroll in a monthly service plan and associate a payment method on file. After trial expires, OnStar will automatically bill your payment method each month. Plans containing 4G LTE data will be billed every 30 days by AT&T. You may cancel at any time by pressing your blue OnStar button or by calling 1.888.466.7827. See onstar.com for details and further plan limitations. Data plan provided by AT&T. Availability subject to change. Mobile app features require automatic locks and factory-installed and enabled remote start system. See onstar.com for details and plan limitations. On Saturday, May 12, Sierra Chevrolet joined the Make-A-Wish foundation for their family-fun event, Truck Adventures for Kids, at the Santa Anita Racetrack in Arcadia. Truck Adventures is a community event that aims to educate children about the vehicles that teach, save lives, and build the world around us. 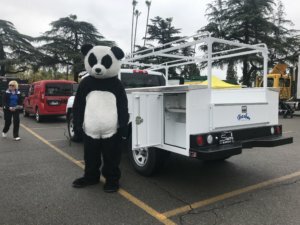 Families from all around the San Gabriel Valley and kids of all ages were invited to experience their favorite trucks first hand and sit behind the wheel of vehicles ranging from police cars, tractors, big rigs, and city buses. 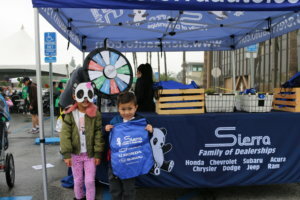 Sierra Family of Dealerships handed out prizes to the community as families participated in the raffle and enjoyed getting to know Sierra Chevrolet's Silverado and Ram Century City vehicles. 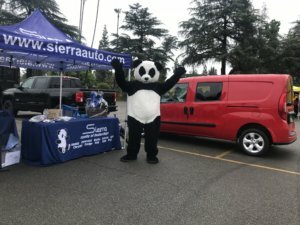 The Sierra Panda also made a special appearance greeting community members and posing for photos with all the children. 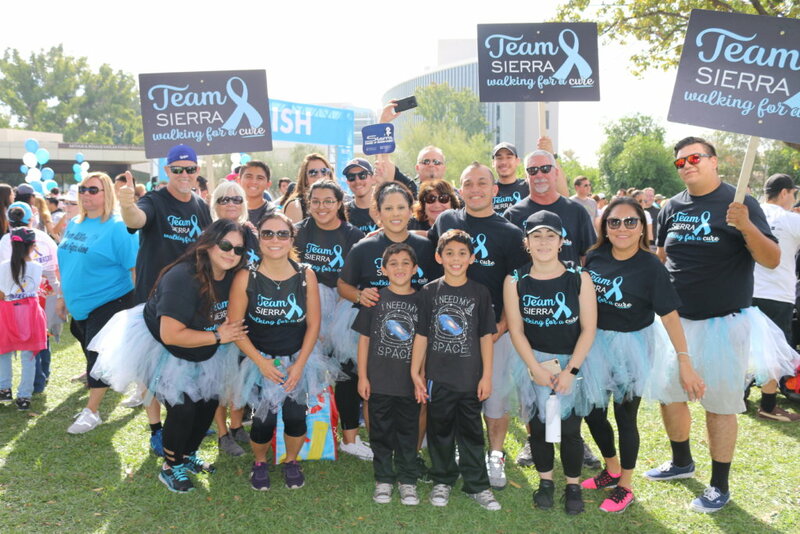 Sierra Family of Dealerships has been serving the Pasadena, Arcadia, Monrovia and surrounding cities for over 40 years and are proud sponsors of community events and organizations such as the Make-A-Wish Foundation. We realize that giving back to the community has the power to change lives and we look forward to standing behind our mission statement of treating each and every customer as part of one family for years to come. 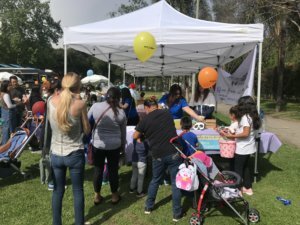 On Saturday, March 31, Sierra Chevrolet joined the City of Monrovia at Recreation Park to celebrate the city's annual Spring Egg Hunt and Healthy Kids Day. 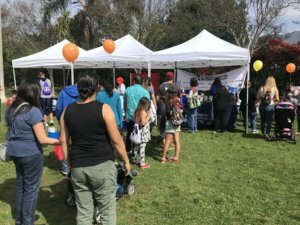 The free community event consisted of family-fun activities ranging from spring bunny photos, arts and crafts, face paintings, a petting zoo, food trucks, and tours of the Monrovia Historical Museum. 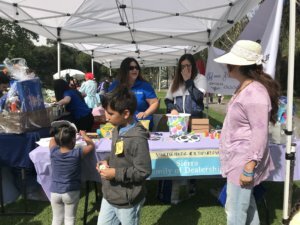 The Sierra Chevrolet Team engaged with local residents from all around the San Gabriel Valley as they lined up to collect Easter eggs, promotional items, and sign up for the adult and kids raffles. 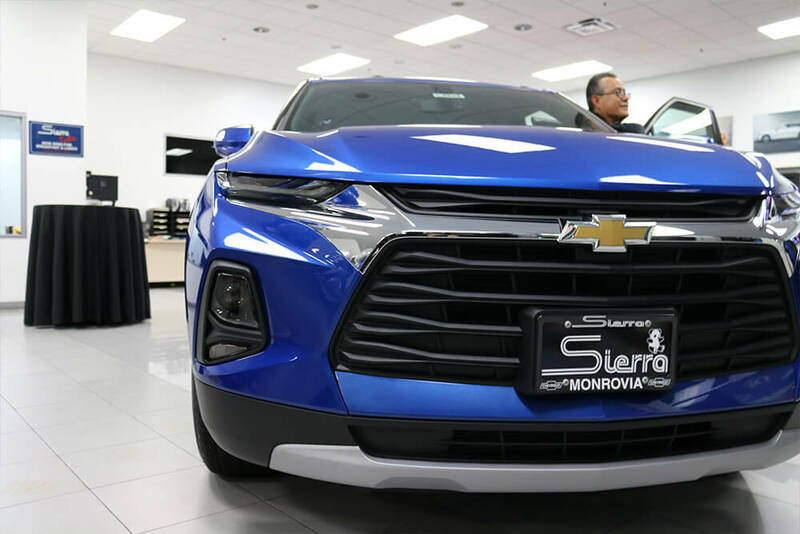 As a family-owned dealership for over 40 years, Sierra Chevrolet is proud of their active involvement in cities such as Monrovia, Arcadia, Duarte, Pasadena, and surrounding cities throughout the greater Los Angeles Area. 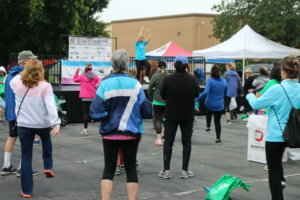 On Saturday, March 10th, Sierra Chevrolet joined members of the community for the 10th Annual Hayden 5k at the Hayden Child Care Center in Duarte. 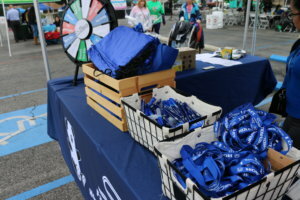 The family-fun event began bright and early at 8:30 a.m. and consisted of a 5k run/walk, live entertainment, food, and games. 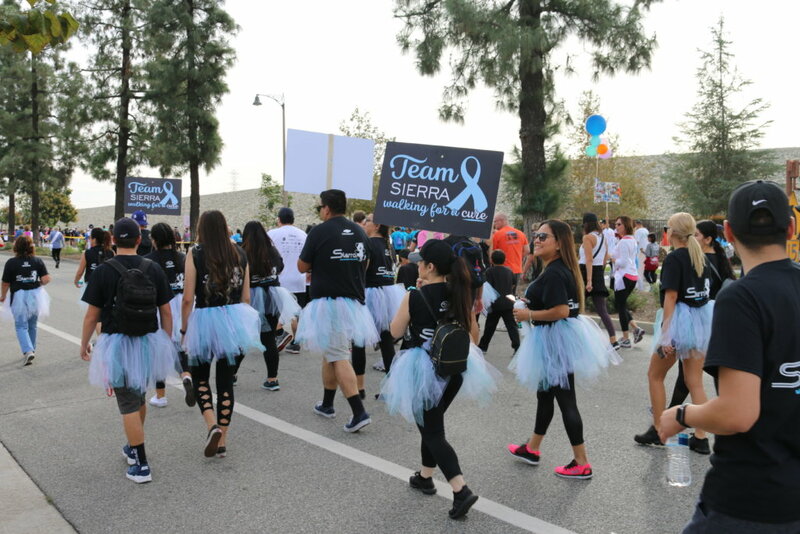 Despite the chilly weather, the Hayden 5k brought residents of several cities such as Monrovia, Arcadia, Duarte, and the Greater Los Angeles area together to support walkers and runners alike. The Hayden 5k promotes healthy living, family fun, and community involvement. The event also consisted of a classic car show and free Zumba class. 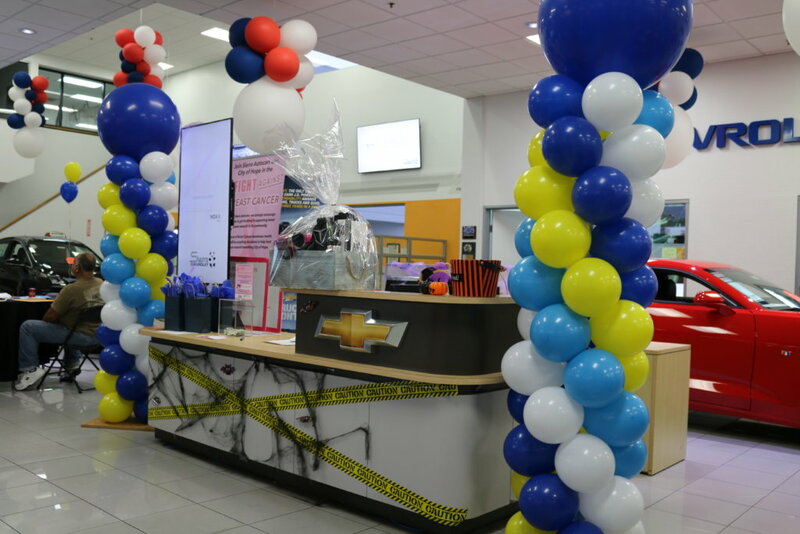 Sierra Chevrolet was present giving away prizes, coloring pages, and even raffled off a basket full of free car accessories. Located on the campus of Santa Teresita, Hayden Child Care is a non-profit organization that provides affordable and quality education designed to strengthen the faith of foundational skills in students. As a family owned dealership for more than 40 years, Sierra Autocars strives to maintain their tradition of treating everyone as part of one family and is grateful to be able to sponsor organizations such as Hayden Child Care. Here at Sierra Chevrolet, we pride ourselves on treating our customers like family. Every day, our staff is committed to providing each guest with exceptional customer service and a reliable and trustworthy dealership experience. 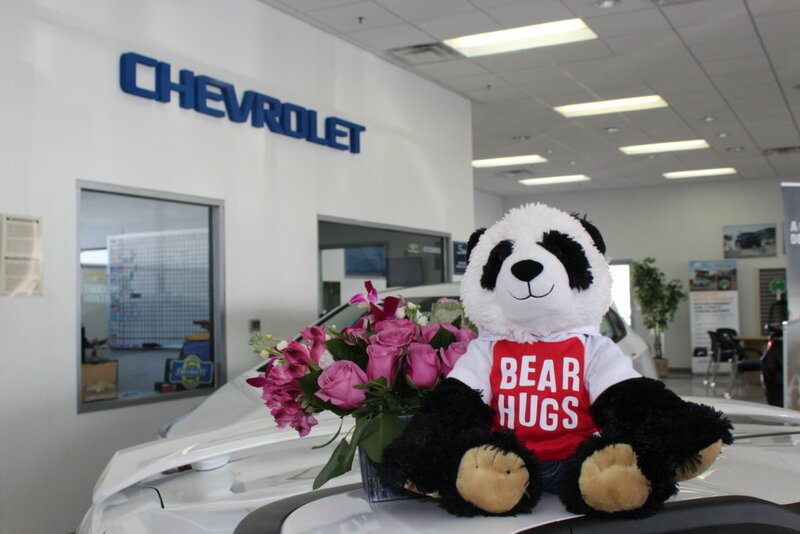 So whether you’re looking for a new car or have already purchased your vehicle, here are 14 reasons why our dealership is one to love this Valentine’s Day. We have been family owned for over 40 years. Sierra Autocars has been in the automotive business for over 40 years and continues to maintain their tradition of integrity and fairness. All of the Hoffman family works together to continue their tradition and commitment to total customer satisfaction. Sierra loves giving back. 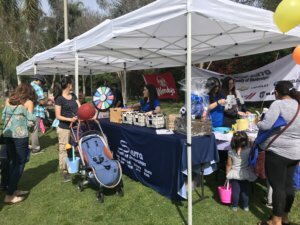 Within the past year our staff has volunteered at a variety of organizations during the holiday season including the Foothill Unity Center and the Monrovia Easter Egg hunt. We also involve ourselves with various summer concerts and events such as the Taste of Arcadia and Taste of Duarte. We have an on-site café. Our on-site café is open to the public. So feel free to stop by for a free coffee and enjoy your breakfast or lunch with us! Our staff is friendly and knowledgeable. Whether it’s finding a new Chevrolet, servicing your vehicle or finding a parts item, our helpful Chevrolet staff is here to help guide you in the right direction. We have a complimentary shuttle. Our complimentary service shuttles provide our service guests with a complementary ride within a ten mile radius. Chevrolet is with it’s owners for the long haul. This Chevrolet comprehensive owner benefit program provides excellent service and support from the moment you purchase a Chevrolet vehicle. We provide a guest lounge. Our guest lounge provides a relaxing atmosphere which includes high speed Wi-Fi and televisions for your entertainment. We have a children’s play area. Getting your car serviced? Bring your young one’s over to our children’s play area where they can enjoy a variety of toys, games, and entertainment. Your pets are family too! We understand leaving your best friend at home can be hard at times, therefore we welcome your pets to visit our facility with you. We have an awesome mascot. It’s impossible to miss a glance at our giant panda during your commute down the 210, exit Mountain! We have a commercial fleet department. Are you a business owner? Sierra Truck Center has a large inventory of new and pre-owned trucks and vans suited to fit your needs. We have a wide selection. Sierra Chevrolet has a variety of both new and used Chevrolets for you to choose from, just take your pick and drop in for a test drive! Busy during the day and need to get your car serviced? We offer late night drop off at our service centers for your convenience. Get the most out of everything your vehicle has to offer with Chevy OnStar services. These selected plans include advanced diagnostics, remote access, and dealer maintenance notifications.